We often speak about benefits of holistically looking at natural and paid search performance. After all, anyone outside of the search industry may not even become aware of the difference in natural and paid results in the seconds of completing a search and clicking through. To an average searcher, the SERP is a list of choices, each sending signals of varying relevance to the searcher’s immediate needs. As the searcher simultaneously evaluates the utility of visiting paid and natural search listings, you should strive for a holistic search strategy with joint organic and paid search optimization. In considering impact of SEO on SEM, thoughts often turn to comparing keyword rank and site engagement for each channel. No doubt, those are helpful benchmarks for an “apples to apples” performance comparison. However, before jumping into the number crunching, it is helpful to do another level of analysis to ensure that any quantitative results are interpreted in the right context. Below are five considerations for synergy between organic and paid search. Together, they create the foundation for a holistic search strategy. The notion of comparing one channel versus another can lead you to prioritize one or the other for various search queries. But does it always have to be a tradeoff? If user intent is unclear (e.g., on some branded or very general non-branded queries), it is desirable to have visibility on both. Natural search aligns well with users in the awareness stage. Paid search can complement that well, focusing on users with the same queries but who are ready to transact or make a decision. Set the stage for your organic and paid search synergy. Develop complementary coverage for reaching all relevant audiences or pursue the same audience in the most efficient way. Comparing your own natural and paid results is helpful, but doing it without context of who appears alongside misses valuable perspective on why result are what they may be. Incorporating competitive and the universal search insights is important for a thorough analysis of organic versus natural search. Ranking gets tricky when the first organic results actually appear much lower in the SERP as their high rank may suggest. Similarly, if meta search results, shopping, or other paid listings appear alongside paid search results, standard paid search ads no longer control the assumed prime position. Messaging in ads and organic results is key for understanding what happens onsite. Poor performance could be due to misalignment of landing page experience with what users see in the SERP, not the organic versus paid search dynamic. Let’s consider results for generic destination related hotel searches (e.g. [paris luxury hotels]). As you may expect, online travel agencies (OTAs) dominate sponsored search results, leading many to focus efforts instead on organic search. However, low paid search performance here could be due to Google’s hotel price ads and/or meta search results appearing right below paid search. Not only does that steer users away from paid results, but it also pushes organic results far down. Natural search is no longer the only alternative to clicking on paid search ads. Also, what might come as a top organic result on a rank report no longer really is. The first organic search result can well be below the fold and technically be the sixth result someone sees. This analysis will vary by engine. Bing, Yahoo, and others come with their own landscape and need a different approach than Google. For paid search, they often provide attractive opportunities to costlier plays on Google. 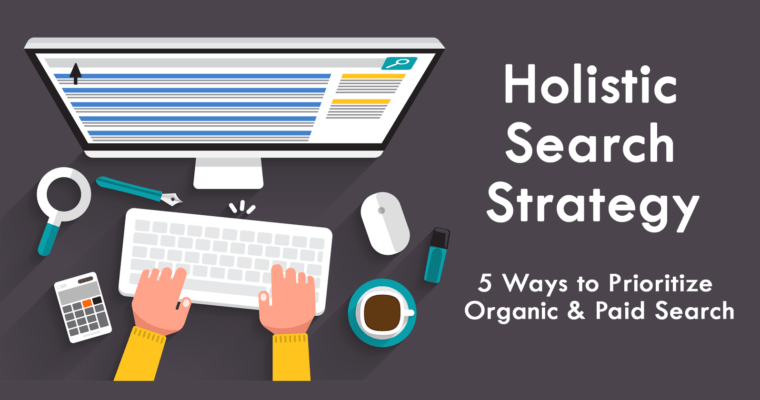 For organic search, their SERP often contain different listings vs. Google calling for a separate analysis. With mobile traffic share rapidly growing, it is worth splitting any paid vs. organic analysis by device. Mobile is, or is poised to fast become, the biggest traffic driving device in many verticals. However, the desired level of site engagement often lags on mobile versus desktop, or even tablet. With the comparatively higher short-term cost for mobile search ads vs. organic listings, this is a good case for SEO to take more of a lead. Engines increasingly getting better at building mobile SERPs around micro-moments, and mobile results vary more and more from desktop where historically many focused their analysis of organic vs natural search. With us at the tipping point of the mobile-first search, it is worth breaking away from desktop focused analysis. Before kicking off the analysis, reconsider what metrics are not only important to monitor for comparison but also will be most actionable for your team. If a KPI is hard for your team to influence, then it becomes of secondary importance. Use a weighted, multiple metrics approach rather than pinning the analysis on any single success criteria. Conversion rate, cost/conversion event: The most intuitive metrics consider how successful and costly it is to leverage each site visit. Other metrics will give clues on why a given performance is observed and how to improve it. Clicks or visits: This is a helpful guide for prioritizing opportunities. Any identified opportunity or insight should pass the test of being scalable enough to impact your business. Opportunities with limited traffic impact are ultimately not worth resource investment given the small impact on the bottom line. Bounce rate: Frequently used in SEO and overlooked for paid search, bounce rate is a good indicator if your user’s intent aligned with the search result’s message (more on that later) and the landing page content. Time on site, pageviews, pages/visit: Together with bounce rate, knowing how long users spend on the site and how much content they have consumed provides much-needed context for conversion metrics. Are people converting poorly after seeing much content? Maybe they are not bouncing, but still not finding what they need. Or maybe conversions are strong with a high number of page views. This is an opportunity to look into landing page content and shortening the site journey. Click-through rate (CTR): If traffic opportunity is much greater than your visits, CTR is a good metric to use for keeping those seemingly little opportunities on the radar. Here, even a small SERP language optimization would notably boost site traffic. Rank/position: Any organic versus paid search analysis would be incomplete without considering SERP rank or position. It can explain a lot about performance, but prioritizing a natural or a paid result, shouldn’t be focused solely on rank. Maximizing conversions and site traffic can be achieved even without ranking in top organic or paid search positions. Being in the striking distance of a couple listings is still worth getting excited about. Organic coverage with no paid presence, or vice versa: These are prime candidates for testing on the channel which is not seeing activity from it. Research shows that site traffic and conversions are highest when a site has coverage with both channels. You can also be surprised to see which channel is actually doing better. Searches with presence in both organic and paid search, where one channel outperforms: Use a combination of metrics to prioritize one channel over another. Sponsored search tactics, especially for generic terms, are frequently budget constrained making non-branded search strategic heavily dependent on organic search tactics. Natural search results are not as easily influenceable as paid ones, making sponsored search optimization a perfect complement (e.g., when considering location or device specific results or efforts impacted by short-term seasonality in user behavior). Presence in both paid and organic is achieved, though is unsatisfactory on both fronts: While often least anticipated, often neither channel is a clear winner. After understanding your landscape, establish different objectives for paid and organic channels recognizing that neither can do it all alone. Having complementary strategies, well-aligned tactics, and processes for regularly monitoring metrics will position you for success – no matter what changes search engines throw at us next. LTV vs. CPA: which metric matters most?